We are environmentally conscious artisans that focus on recycling. 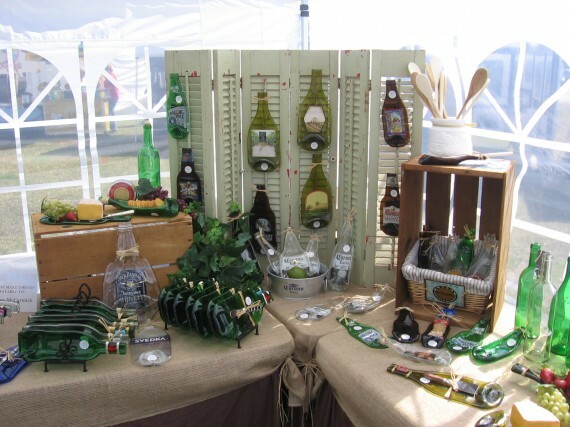 Our goal is to create beautiful yet functional creations wine, beer, liquor and vintage style soda bottles bottles that might otherwise end up in a landfill. We also use other recycled items such as wine corks in our designs. I enjoy investigating Cubism’s traditional subjects of still life and portraiture (among others), and challenging myself to come up with new ways of representing forms and space. Austin is my home. Ursula is an attorney & artist. 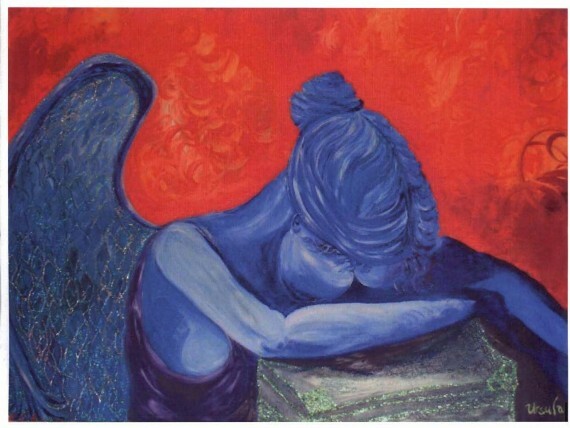 Ursula’s work is unique & one of a kind & the colors are vivid. 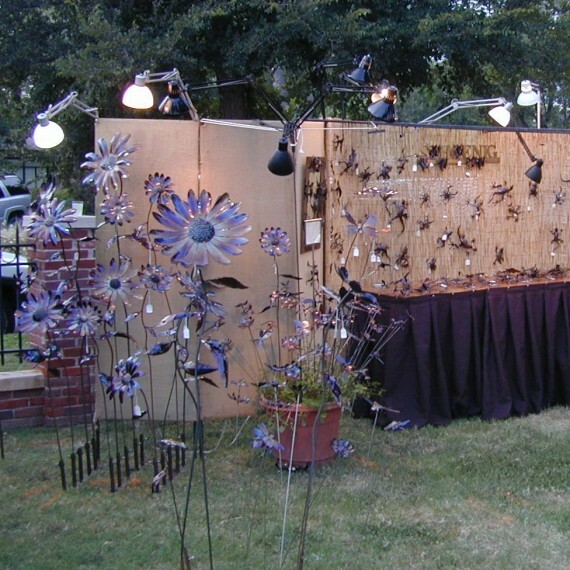 Arthur does metal sculptures of many different shapes and sizes. 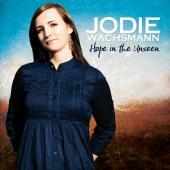 Jodie will be playing/singing from 2-4pm on Sunday.